I like to keep my family healthy so that we can all keep up with our various activities and events. That’s why I’m kind of a stickler when it comes to washing hands first thing when we get home. Even my two-year-old kicks off her shoes and marches straight to the sink to wash her little hands the moment we walk in the door. I love having dōTERRA On Guard® Foaming Hand Wash in our home as it gives me the peace of mind to help cleanse hands while also providing a wonderful aroma. And, as an added bonus for the colder months, the Foaming Hand Wash is formulated to help keep your hands moisturized rather than drying them out. Heaven knows my hands need all the moisture they can get in the winter time! 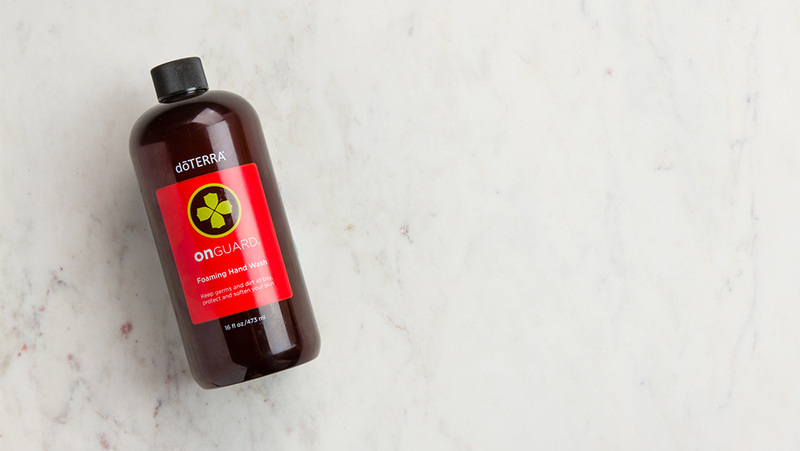 If you would like to learn more about this great Hand Wash, check out the spotlight on doTERRA.com: https://www.doterra.com/US/en/blog/spotlight-doterra-on-guard-foaming-hand-wash.